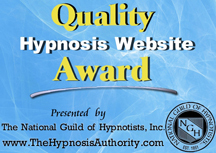 Stop Smoking Hypnosis Program- smoke-free in 3 weeks! Stop Smoking Hypnosis Program – smoke free in 3 weeks! Stop Smoking in 3 weeks using hypnosis with my Stop Smoking Hypnosis Program. This Stop Smoking Hypnosis Program download is based on my in-office Stop Smoking Hypnosis program which has a 90% success rate! Proven effective for those who want to quit smoking in the comfort of your own home. This 3 week program replicates the behaviour modification approach of my highly successful office Stop Smoking Hypnosis program and can be done, when you are ready and without pressure, in the comfort of your own home! My Stop Smoking Hypnosis program optimizes your chances of success by addressing your psychological addiction as well as the physical. Other methods attempt to wean you off nicotine physically without addressing your psychological triggers for smoking. Even if you don’t feel you are ready to quit, this program contains 4 Stop Smoking Hypnosis and Subliminal recordings that will increase your motivation. Once you are ready to begin the program, the MP3s will continue the motivation, provide on-going support, de-stress you AND give your confidence a boost. You will not find this copyrighted Stop Smoking Hypnosis Program or these original recordings anywhere else. Its your health and your money! Smoking just one pack a day, this Stop Smoking Hypnosis Program will save you over $3000.00 a year (at current prices…and we know the price only goes up!) when you quit !!!! I know I should have sent this a long time ago but I wanted to be sure that I wasn’t jumping the gun and now I know for sure. I am one year smoke free. After being a heavy smoker for 46 years I can honestly say I will never smoke again. I had my doubts when I heard of your program but after trying every other possible method to quitting and failing everytime, I felt I had nothing to lose except to have another failure which I had become quite use to. I can’t thank you enough for reassuring me that it could work for me which helped keep me in your program. I did become a very happy smoke free person. Not only do I thank you, but my family, especially my daughter and my husband will be forever grateful to you. Again my sincere thanks for helping me accomplish what I thought would never be possible. Charlie PS By the way I have not gained any weight in this past year which was one of my biggest fears. Hey Jackie! I just thought I would touch base with you and let you know your magic is still working for me! I am still a non-smoker, and some days I am still in awe! I use my CDs every now and then, and it seems to just smarten me up a little. I have not even had a puff, and am O.K. Thanks again, Every day! I am truly amazed at this wonderful program. I had tried every other way to quit including group hypnosis, laser and the patch, and just nothing seemed to work for me. I felt that I really wanted to quit but still found myself smoking over a pack a day and some days when I was stressed, a lot more. When I purchased your program, I was erxtremely stressed with no relief from my stressors in the foreseeable future. Actually, events after I began this got even worse for me, so I am incredulous that I could continue with it and finally quit. I was scared to quit (fear of failure etc.) but found this program was so supportive. It helped me identify my triggers, deal with them and know that I would not be triggered back into the habit no matter what stress I faced. It truly does address the psychological as well as the physical addiction. I love your voice and found that your recordings were always there to support me. I found I slept better than I had in years and didn’t gain weight. I am far more relaxed about things now, and in fact, even though I haven’t had a cigarette for several months now (and have cravings or desire for one), I often listen to the stress relief recording just because I enjoy it so much. thank you Jackie, you are an angel!!! J.T.